Use PayPal with the highest level of security to complete your payment transaction. To complete your payment transaction, we process all credit card payments through PayPal, with the highest level of security. To make a payment, you do not need a PayPal account and if you don't want to open a PayPal account, then click on the logo of your credit card shown in the bottom left corner of next screen after clicking on the Donate button and click on "continue." 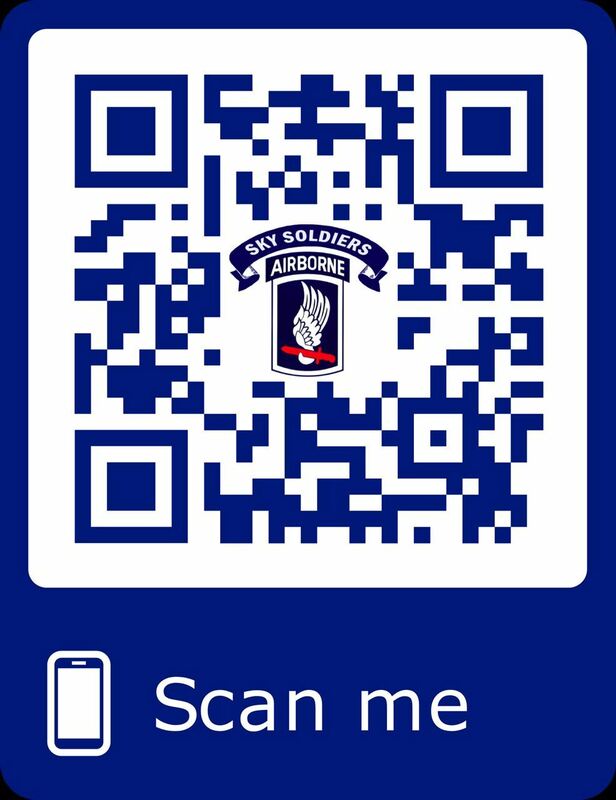 _Annual Membership- Regular - $24.00 (USD) Subscription period: 1 year, on: January 1st No automatically recurring payments Served with or was attached with 173d Airborne Brigade. Can be converted to a Life Membership. _Life Membership- Regular - $173.00 (USD) Subscription period: Unlimited Served with or was attached with 173d Airborne Brigade. Active Duty Personnel Currently Serving with 173rd IBCT- Annual Membership - $16.00 (USD) Subscription period: 1 year, on: January 1st No automatically recurring payments Active Duty personnel applying for this level will waive their ability to receive quarterly Sky Soldiers magazines by mail, but will be able to view them on the www.skysoldier.net/ website. When leaving active duty, Annual Membership dues will revert to the standard $24 annual membership fee. Can be converted to a Life Membership. Active Duty Personnel Currently Serving with 173rd IBCT- Life Membership - $121.00 (USD) Subscription period: Unlimited Active Duty personnel applying for this level will waive their ability to receive quarterly Sky Soldiers magazines by mail, but will be able to view them on the www.skysoldier.net/ website. Associate_1- Annual Membership - $24.00 (USD) Subscription period: 1 year, on: January 1st No automatically recurring payments Spouses and family members of deceased former members of the Association are eligible for an Annual Associate Membership. Associate_2- Annual Membership - $24.00 (USD) Subscription period: 1 year, on: January 1st No automatically recurring payments Gold Star Members are any family members of a former member of the Brigade who was performing military duty and was killed on active duty are eligible for Annual Gold Star Membership. The dues of Gold Star Members are to be commensurate with Regular Members. Associate_3- Annual Membership - $24.00 (USD) Subscription period: 1 year, on: January 1st No automatically recurring payments Veteran Members- Any person who served in the United States or it's Allied Forces shall be eligible for an Annual Associate Membership. eligible for Annual Gold Star Membership. They are also eligible for Life Membership. Associate_4- Life Membership - $173.00 (USD) Subscription period: Unlimited Gold Star Parents/Spouses/Sons/Daughters of a former member of the Brigade who was performing military duty and was killed on active duty are eligible for Annual Gold Star Membership. They are also eligible for Life Membership.